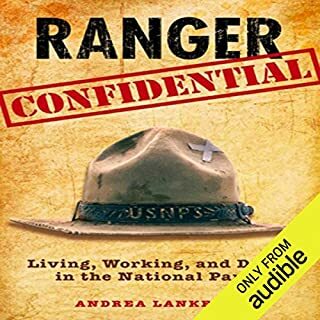 Ever wanted to be a Park Ranger? This is the book! Engaging, informative and surprising. Think that being a National Park Ranger is an easy gig? Guess again. This book celebrates the natural wonders of the largest U.S. national parks and the tragedies that can take place in them. The story was very engaging, in large part due to the outstanding narration of Julia Motyka, but informative. I have a much better sense of the parks after having listener to the book. Beware, however, that just as the author notes in the beginning, this tell all book spares no detail about many of the bad things that happened in the park including some pretty gory details. If you liked Wild, by Cheryl Strayed, this is a good follow up book. Into the Tour de France? This is your book. Would you listen to Wide-Eyed and Legless again? Why? 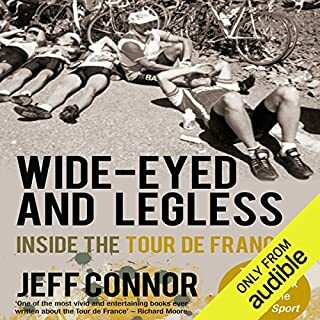 For anyone who enjoys watching cycling and especially the Tour de France, this book is one that should not be missed. It is a bit dated, but the classic nature of the book fits nicely with the traditions of the great race. A bit hard to follow at times, this books may be a bit of a bore to a regular sports fan. This is a book about cycling for cycling fans. More than just going into the peloton, this book takes the the listener into team meetings, team cars and the dynamics of how teams are started and sustained. The characters in the book are, in fact, true characters, and the authors does an outstanding job in introducing the listener to them. What aspect of Ben Elliot’s performance would you have changed? The narration is good, just, apparently, a bit dated. I got used to the unclear recording in time. This is a short book that covers a lot of ground. It is one that requires listeners' attention. It can easily be listened to in one long setting. If you are in to the great race, this is a must read. Wish I had listened to it long ago. Again, this was informative as a general overview. The book does a god job of outlining the legal and financial pitfalls related to corporate governance. 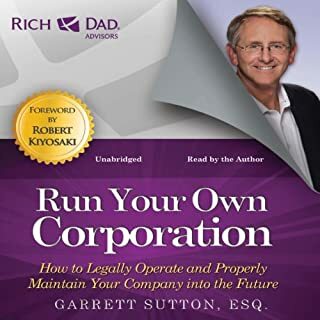 What did you take away from Rich Dad Advisors: Run Your Own Corporation that you can apply to your work? The author lays out in a very clear way to run a corporation in terms of governance. He should keep his nutty anti-government rants to himself. They are distracting. No book can cover all topics of running a corporation. But this is one of several books on business that entrepreneurs or aspiring entrepreneurs should own.